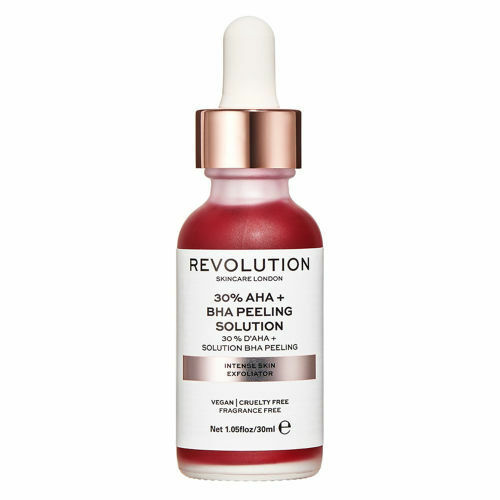 Working on the top layer of skin, Revolution Skincare Intense Skin Exfoliator lifts away dead skin cells and clears pores for a brighter, smoother appearance. This liquid treatment uses AHAs and BHAs to reduce congestion and improve the skin’s overall tone and texture. Caution: Avoid Contact With Eyes. If Irritation Persists, Discontinue Use And Consult A Physician. Do Not Use On Sensitive, Peeling Or Compromised Skin. 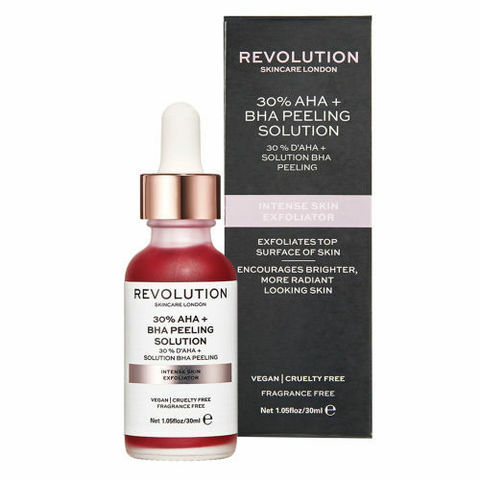 This Product Contains An Alpha Hydroxy Acid (Aha) That May Increase Your Skin’s Sensitivity To The Sun And Particularly The Possibility Of Sunburn.